When you drill it down, the concept of beer is deed easy. The Germans nailed it with their purity laws - beer comes down to water, hops, malt and some yeast to make the action happen. Get it right, and you have beer. kinda like that time I made two kits and got two infections. I'd prepared two beer kits together at the same time, in a fermenter each. Both had become infected and the bottled results were completely undrinkable. The fact that each bottle I opened spewed forth like an overshaken bottle of champagne suggest to me fermentation continued to occur in the bottles but with something else other than beer yeast doing the carbonation. I made a mistake somewhere, presumably with the tools and utensils I used not being clean, and suffered the cost of losing 40 odd liters of beer, the expense of producing it, and my time. Given that error, I've never done two batches on the same day again, to hopefully cut out such user error mistakes. But there have been other mistakes made! Related to the above incident is that time I chanced my arm one times to many on not sanitizing my beer bottles. Bottling beer can become a drag and that's why so many backyward brewers turning to keg operations. Well, I don't have the time or patience for that so I continue to bottle. I mentioned that time and patience thing right? So even though I am fairly scrupulous with ensuring I have a well cleaned and sanitized fermenter, when it comes to bottling, I often do not sanitize my clean glass bottles. And then I started to get the odd infected bottle and I knew it was time to go back to the ways of the wise and properly sanitize my beer bottles. This one seems kinda like a no brainer of what not to do but there you go. Handy tips - to clean bottles use the dishwasher and use sodium percarbonate to santize (though if bottling straight from the dishwasher, the heat should have done the trick killing those pesky beer bugs). Let me share with you a tale. In the middle of a cold and desperate New Zealand winter I bottled a lager brew and left it in the man-shed for about a month. It was damn cold and the sun didn't warm the shed at all. I could have happily used the shed as a morgue it was that frigid. So I think to myself, these beers are ready bit when I when to crack open the first beer, I did not hear that usually reassuring hiss of CO2 gas as it escapes from the bottle. The silence was cold news to my ears. So I opened another bottle and had the same result. And again for a third. My beer been left in a place where it was to cold for the yeast to begin secondary fermentation. If you intend to lager your beer you must wait until secondary fermentation has begun and carbonation has occurred. If you cool your beer too soon, you run the risk of disrupting the yeast from its secondary fermentation process and carbonation may not occur (or it will be very slow to do so). So the lesson is clear. So, just like when you did the first round of fermentation, the yeast does its best work at a warm temperature. So, to properly store your beer so that it is carbonated, the beer needs to be kept warm for a few days. In my situation that means bringing the bottles inside the house for a few days just to give the yeast a chance to start doing it's thing. Then it's straight back out to the shed with them. There's a good benefit to this as well. Keeping your lagers cold will result in the production of fewer esters and fusel alcohols, giving your beer a better taste balance. And that's basically why lagers are 'lagered' or conditioned over winter. I love drinking Steinlager as it is an excellent beer and one I would recommend to any discerning beer drinker. I'd collected a few fair green bottles and began using them regularly. However they soon refused to easily cap as the grippy bit at the top of the bottle neck cracked. This then makes it harder to cap so one applies a little bit more pressure and then snap! The neck of the beer bottle snaps, sending glass shards everywhere and most importantly, wasting good beer! So now I have a firm no Steinlager bottle policy and that's that. It's my view that it's a mistake to imbibe your beer too early. Post bottling, your beer needs time to carbonate. It also needs time to chill and do its thing. The fermentation process is in a sense a simple chemical reaction but there is a complex relationship going on with the beer's ingredients that need time to sort themselves out. Sure you can drink it earlier but you are wasting the opportunity of having a much better beer than you are actually drinking. It's for this reason that brewers will often have a cycle of beer going though so that they always have a brew brewing, a set or three conditioning and a batch ready for drinking. Pitching your yeast into a hot wort has the same effect as throwing Frodo's ring into the lava of Mount Doom! Yes, I once absent mindedly pitched my yeast when the wort was too hot, right after mixing the ingredients with boiling water. I knew what I'd done the moment I'd done it but what a waste of yeast. Give your wort a chance to aerate. Stir it, shake it. Whatever. Give it a chance to get some oxygen so the yeast has something to work with. Conversely, when bottling, avoid getting oxygen in your beer. Using a beer bottling wand thingy can help with this as it helps with a smooth pour from the fermenter into the bottle. If you are racking into a secondary, try to avoid stirring up the beer to much at this point as well. 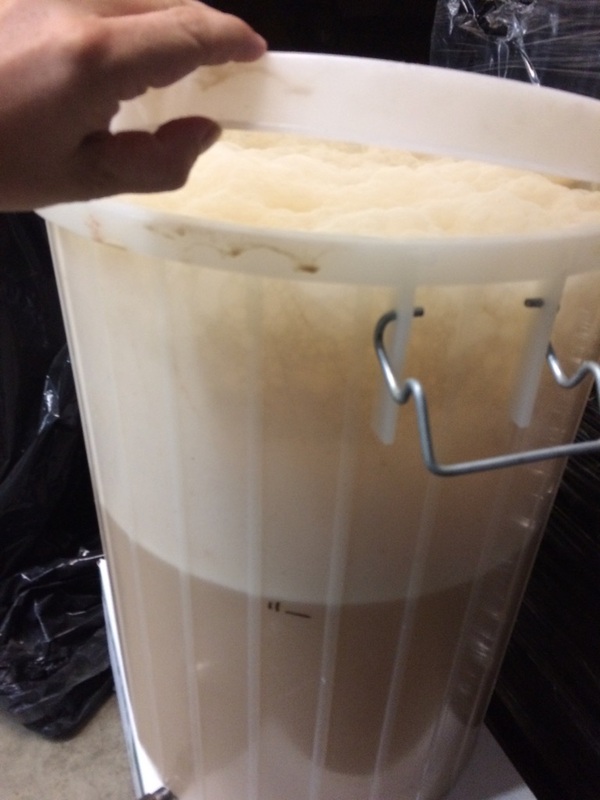 Don't allow fermentation to occur at too high a temperature. A standard, consistent temperature allows for a well made beer. A temperature that is too high will cause the fermentation to result in a beer that tastes too fruity. Adding to much sugar will cause your beer to over ferment and of course leave it with a sugary taste. We know beer enhancers can add to the cost of making beer but we think they are totally worth it and use them with most beer kit brewing combos. The quality of the water you use will have a direct bearing on the quality of your beer. I live in clean green as New Zealand so our water quality is mint so I simply fill up from the garden hose. For those not so lucky, you may want to consider filtering your water if you are able. If your water quality is poor, you could make some heavy ales which could help mask tell tale chlorine and the like. A ph Meter will help you test for water suitability. Here's some random as tips we found on Reddit that keen home brewers have shared so that we can all become better backyard brewers. Remember these are just ideas and tricks and ways of doing things, they may not all be suitable for your brewing needs. As with all brewing, one learns by doing and experimentation! If you're a kitchen based brewer, bottling beer over your dishwasher door; clean up is as simple as closing the door. Clean out your 'Boil in a Bag' brew bag by first shaking it out, then turning it inside out and holding it under the shower. Pour the contents of the bag into a bowl and use that to pour into boiling water. It is MUCH easier to scrape extract out of a bowl. Be wary that if using dry malt extract, the steam from boiling water causes significant amounts of extract to cake onto the sides of the bag. If this is an issue for you, we suggest you put the DME in first before you add the water. Adding rice hulls to the grain mash can prevent the sparge from blocking. Re-hydrate dry yeast that you've saved by pouring it into a plastic bottle of water (of the correct temperature of course), capping it, and shaking. Burp any excess gas by gently opening the bottle (as you would a bottle of soda). When it comes time to pitch the yeast, simply pour out of the bottle into your wort. Placing a packet of silica gel in your hydrometer case can help absorb any residual moisture that may be left after using it (we think this is a flight of fancy in some ways and not necessary). Use a ph Meter to test your mash. When making a yeast starter, place the flask inside of a plastic grocery bag, and then place it on the stir plate. Should the starter overflow, the mess is contained within the plastic bag. We love this idea. Put a book or other wedge under the back of your fermenter after sealing it up. On brewing day, gingerly slide the book/wedge to the front of the fermenter and you'll have a slanted yeast cake and a nice "deep end of the pool" in the back side of the fermenter to rack from. A few marbles, glass beads, or large SS ball bearings will reduce the risk of boil over dramatically. It works by providing nucleation points at the bottom so that large bubbles rise up and pop and less small bubbles are available to form foam. Of course, if you use foam inhibitor such as Fermcap-S, you probably don't need any other hacks! Using a spray bottle of Star San solution seems like a good hack. Doesn't waste time with dunking everything in a bucket when you can just spray it liberally and get good coverage. Put spigots in all of my fermenting buckets, so you need use an auto siphon. When transferring out of a fermenter into a keg, fill 1 pint mason jars with the slurry, and refrigerate them so that you can use it as a yeast starter for another brew. Buy hops in bulk to save money. Make sure you are going to use it though! You can store excess hops by keeping it frozen. Instead of hand cleaning your bottles and dunking them in sanitizer put them in the dishwasher bottom rack. USE NO DETERGENT, and put the dishwasher on the hottest cycle. The temperature is hot enough to kill the nasties that could infect your beer (we also add the dish washer is handy for removing bottle labels). You can add extra fermentables like DME on top of what your recipe asks for to increase the ABV of the beer. 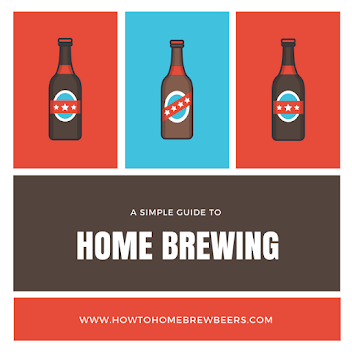 These are some pretty simple homebrew hacks that make the preparation and brew day a bit easier - it's always best to do your brew as best you can however!